If you are feeling depressed, anxious, have been diagnosed with a mental health disorder, suffering from trauma, or need someone to talk to, see how we can help. If you or a loved one is suffering from addiction, see how a combination of methadone and therapy can help. The Healing way is a fully accredited mental health and addictions services provider, serving the city of Philadelphia, located in the far Northeast, and surrounding counties. We specialize in helping those on probation reintegrate into society, and have bilingual services available in Spanish and Russian. We currently do not accept insurance of any kind. We are a pay for fee service. We accept all major credit cards, money orders and cash. When you have an addiction problem, you may need the assistance of medication to help you truly overcome it. At The Healing Way, we are a methadone clinic in Philadelphia that offers the services you need to help you overcome your addiction. We understand how difficult addictions can be and know you need all the help you can get to stop using and get your life back on track. With our methadone treatment, we take a comprehensive approach to helping you get clean and stay that way. 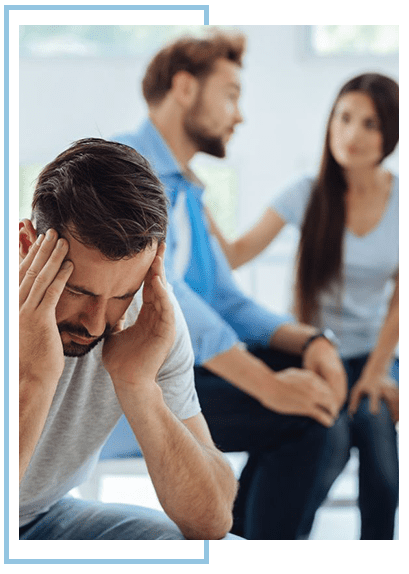 While it’s never a good idea to trade one addiction for another, when you get medication assisted treatment in Philadelphia, you will experience fewer side effects and be able to focus on the other aspects of your addition without the physical withdrawal symptoms. Often, these symptoms prevent individuals from moving forward with their treatment. We strive to help you focus to eliminate the cause of your addiction, not just the addiction itself. When you work with our clinic, you will gain the advantage of a comprehensive approach to overcoming your addiction. We use methadone as a method of calming the negative side effects many people experience so you can stay focused on other aspects of your treatment plan. Our methadone clinic in Philadelphia will help set you on the right path so when you leave, you are fully prepared to face your temptations. Our approach includes group and individual counseling, anger management, meditation and much more. Contact us today to find out more about our methadone treatment practices. "Finally I found a place that I can start my recovery"
"The minute I walked into The Healing Way, I felt safe"
"I was really pleased with personal care and professionalism of the staff at The Healing Way"
"The staff really cares and they want to see you succeed"
"The Healing Way has helped me stay sober"
© 2018, The Healing Way. All Rights Reserved.